So glad that “John” made it to your office. I think I might have referred him to you! BTW… I worked with a very serious case of KC last week. This 24 year old male had been given increasing doses of ketamine over a two year period for the treatment of headache pain. 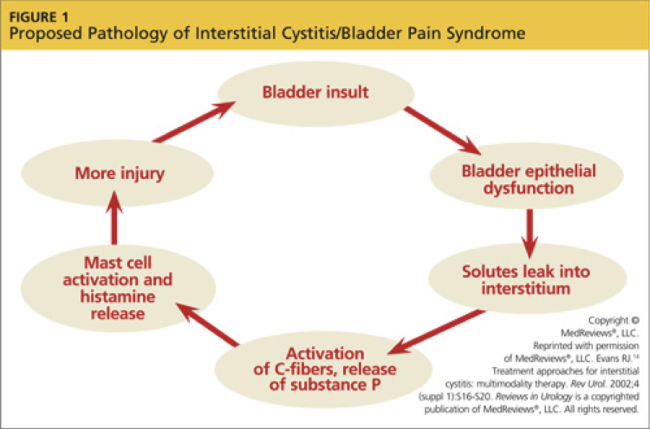 When the bladder symptoms emerged, a diagnosis of IC was made and the connection was not made until irreversible damage occurred. He’s had his ureters shortened and moved to relocate the diseased section. He has acute, intractable ulceration of the bladder wall. But the saddest of all is that he’s also been diagnosed with a brain injury, also the result of the ketamine. Research emerged in 2010 demonstrating that brain damage can and does occur with prolonged ketamine use. All because it was prescribed at a time when doctors just didn’t understand the risks. In his case, they are now exploring augmentation or cystectomy.. which is very very sad indeed. We need more data on the incidence of ketamine cystitis in the USA. I’d like to do that but we just don’t have any funds for research. Thank you for sharing Jill. It’s one thing when Ketamine is used as a recreational drug but when the damage is caused from it being medically prescribed, that’s more of an unfortunate scenario. In my talks worldwide to practitioners on the subject, this is a major point I raise as awareness is key here. Hi, Thank you for your comment. Yes, Amy Stein’s book and Isa Herrera’s book Male Pelvic Pain are excellent sources. Physical therapy was beyond the scope of the particular blog post. Thank you though and very good point. Is alcohol can cause of interstial cystitis? Alcohol can be an irritant to the bladder only in some people. Everyone is different.